Laser micro-cutting for the athermal cutting of all types of material (metals, composites, polymers, glass, ceramics, mother of pearl etc.). This technique makes it possible to cut delicate materials, with no darkening effect, while retaining the physical-chemical and mechanical properties of the cut parts. Equipment can also be used to limit bevel angles (trepanning head, etc.). Laser micro-cutting makes it possible to make several cuts with optimum precision. 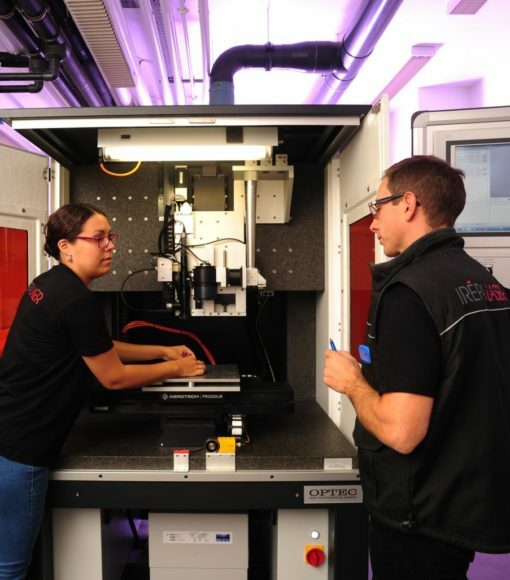 Indeed, these laser processes can allow a large variety of applications such as micro-cutting, micro-machining and drilling and are capable of achieving dimensions and resolutions close to the micrometre (µm). Besides, it is possible to simultaneously control the bevel angle, improve the surface condition of walls and the worked surfaces. 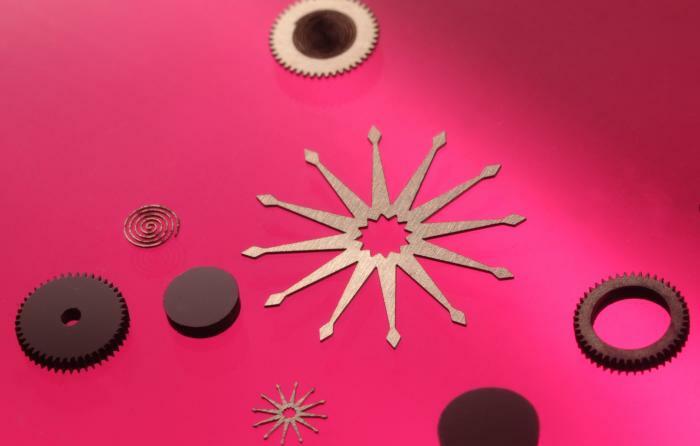 What is laser micro-cutting ? Laser micro-cutting is a contactless cutting technique that can be applied with different laser technologies. The type of laser source is selected on the basis of productivity requirements, materials, thickness and the desired precision. That is because some laser sources allow cutting with high productivity but generate thermal effects on the parts (HAZ etc. ), while others like ultra-short pulse lasers (femto-second laser) achieve dimensions and resolutions close to the micrometre (µm) without any thermal effect (no physical-chemical change). Laser micro-cutting processes generate a bevel angle that must be taken into consideration, but which can be limited by the use of specific equipment (trepanning head). The surface condition of walls depends on the technology implemented and can be optimised. The micro-cutting process can be applied to a multitude of materials (metals, composites, polymers, carbon, etc. ), including very delicate materials like mother of pearl, silicon, ceramics or for machining glass. But it can also be used with hard materials like ruby, diamond or sapphire. The interaction between laser and material is virtually athermal, with no alteration of the base material. Laser micro-cutting offers high working precision and great versatility of use, and can be applied to all types of material, with no alterations (visual, chemical or metallurgical) or damage to the material. Lastly, micro-cutting provides optimum treatment quality and precision, while technical adjustments make it possible to obtain a vertical rake face. Precision micro-machining is an innovative process that allows high-precision working with fragile materials, such as glass. And it does so without altering or deforming the nature and/or shape and/or chemistry of a product. It offers appreciable work quality, combining flexibility, versatility and speed of execution. 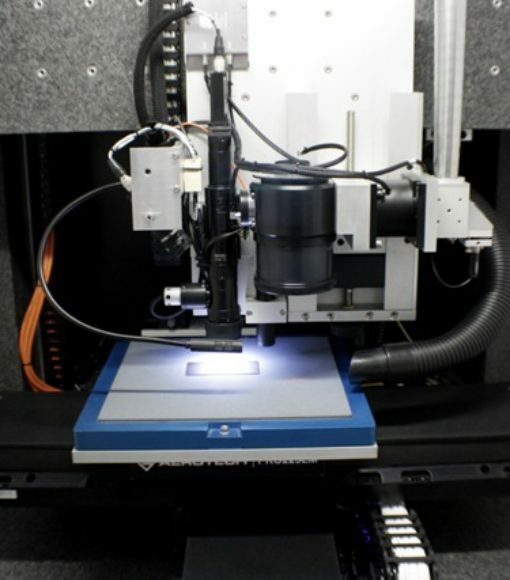 Surface roughness (Ra) after micro-machining below 0.1 μm (Ra < 0.1 μm) can be achieved. Lasers make it possible to achieve complex cutting geometries with high precision in a number of materials. Laser micro-cutting can be applied to all materials, including delicate (mother of pearl, silicon) or hard (ruby, diamond, sapphire) materials. Do you want to know more about laser micro-cutting? With over 30 years' experience, IREPA LASER is the partner you need to find suitable training. Learn to apply laser micro-cutting, get the keys for developing your laser project. Are you a novice in the field? Follow a course in industrial lasers dedicated to beginners, who need to be sure they know the basics.